1. Open "Settings", put name and then navigate to "iCloud". Now, go to "Photos". iOS 10 and earlier devices , you will have to go to "Settings"> "iCloud" > "Photos & Camera". 2. You will see the "iCloud Photo Library" option. Put the toggle switch on! 1. Go to "System Preferences", then navigate to "iCloud". 2. Find "Options" to get the "iCloud Photo Library" option. Enable it! 3. You can get the synced photos by launching the Photos App. Now, that you have enabled the iCloud Photo Library option, all your iPhone X/8/7/7Plus/6/6S/5/5S/SE etc photos will now be synced to your Mac automatically whenever you are connected to Wi-Fi. Keep in mind, this method needs a steady Wi-Fi to work and without which, it is useless. 1. On your iPhone, navigate to Settings, then to Photos and toggle My Photo Stream button. For iOS 10 and earlier devices, you will have to go to "Settings", then to "iCloud" and open "Photos & Camera". 2. On your Mac, open "System Preferences", and then go to "iCloud". Now, open "Options" and enable the "My Photo Stream" option using the checkbox. You have successfully setup the My Photo Stream feature on iPhone and Mac. Now, all your last 30 days photos will be synced automatically when connected to Wi-Fi. You can access those photos in the Photos App of your Mac. So, this is how to sync pictures from iPhone to Mac using My Photo Stream. Selective and bulk transfer photos. Transfer any kind of photos irrespective of size and type of file. You can transfer third-party apps images like from WhatsApp images, cameral roll, iMessage, Instagram etc. 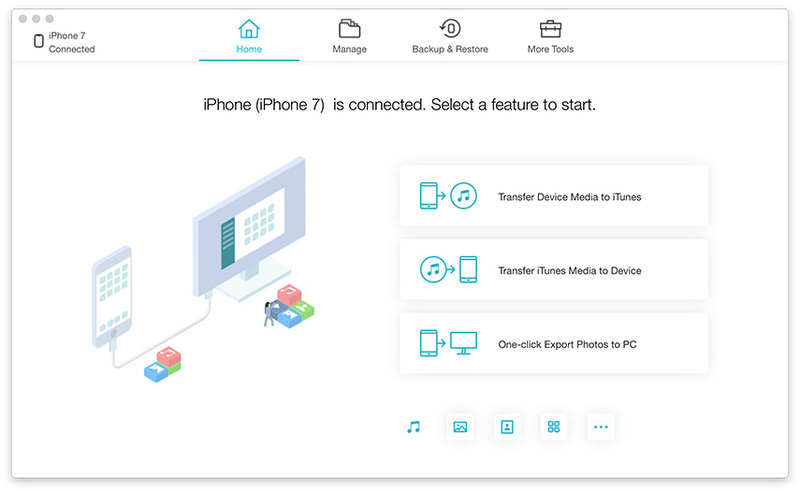 There is also the option of Backup and restore data, speed up and clean, fix all iOS stuck issues, repair OS etc. 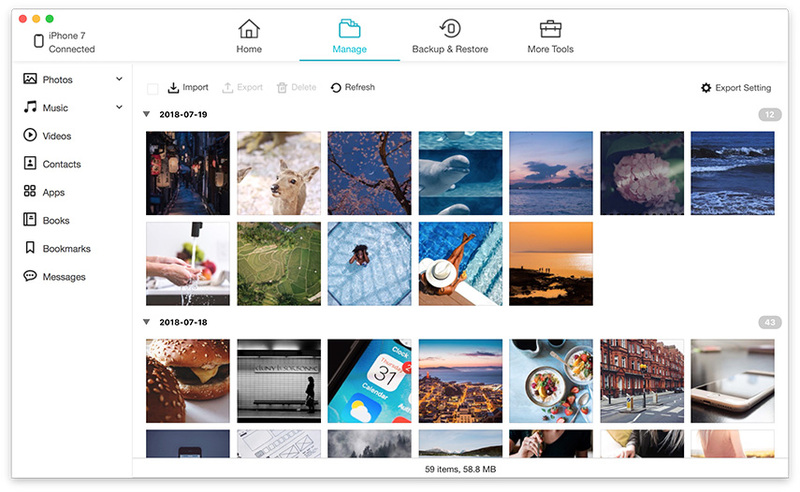 All the photos you have chosen earlier will get transferred to your Mac right away. And you are done! All your selected images will be now be accessible on your Mac. The last method here is all about wireless transfer. Airdrop is a data sharing feature across iOS devices developed by Apple. This method completely depends on Wi-Fi connectivity and more so, on a steady and fast connection. It is a viable option to sync pictures from iPhone to Mac. Make sure you have Mac OS X Yosemite/ macOS Sierra/macOS High Sierra/El Capitan on your Mac to make it work. So, here are the most effective ways to sync pictures from iPhone to Mac with Wi-Fi as well as without Wi-Fi. These methods are effective and work well if done right. In case you are still wondering, "How do I sync photos from iPhone to Mac easily? ", according to me and from all my tests, the simple answer is Tenorshare iCareFone. I highly recommend this software above all these other methods here only because of its advantages and the ease with which you can transfer photos without any hassles.